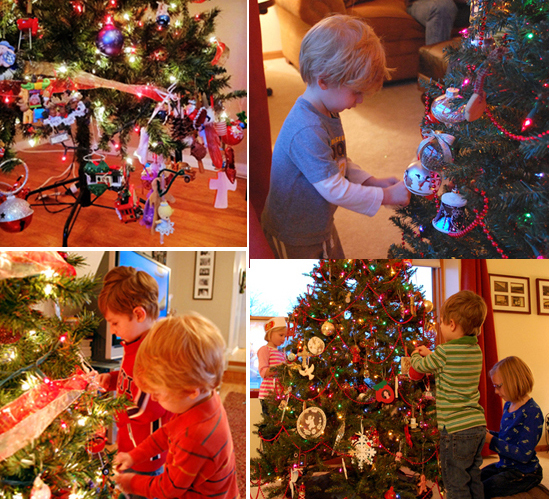 When our grandsons, Jacob and Matthew, decorated their Christmas tree all the ornaments were hung on the bottom. When they decorated our tree, with help from their taller cousins, Abby and Emmy, they reached a bit higher, but the top third was still bare. After everyone went home, Brian and I moved the ornaments over the entire tree so that it was balanced and perhaps more pleasant to look at. Christians don’t just decorate trees; we have ornaments with which to decorate our personalities. God calls us to put on compassion, kindness, humility, gentleness, patience, forgiveness and love. Colossians 3:12-14 Therefore, as God’s chosen people, holy and dearly loved, clothe yourselves with compassion, kindness, humility, gentleness and patience. Bear with each other and forgive one another if any of you has a grievance against someone. Forgive as the Lord forgave you And over all these virtues, put on love, which binds them all together in perfect unity. We enjoy putting these virtues on, and like ornaments they are nice to observe; but are they balanced? Do they cover every bit of our lives? Sometimes, like Matty’s ornaments (all on one branch in the back of the tree), we reserve kindness and compassion only for those who are the closest to us. And, like Jake’s ornaments: Our gentleness and patience abound, but we only interact with people directly in front of and close to us and we don’t consider those who are out of sight. Occasionally, we’re like Abby and Emmy’s ornaments, we are humble, loving and forgiving for the most part, but there are some situations and people just beyond our reach and we don’t really want to go out of our way to touch them. In the grocery store, at church, at the mall, on the phone with customer service, in the morning before coffee, at the end of a very long day, in the hospital room, in the office, in the classroom, or on the road, would you say you reveal these virtues all the time? Are they spread throughout your life evenly and consistently? Acting Godly in every situation is difficult and exhausting. And some might even say it’s hypocritical or fake. It surely isn’t natural. And that’s true, it isn’t natural; but when we trust God for salvation, by believing that God came down at Christmas, died on Good Friday, and rose on Easter morning to save us from our sins, he begins the process of changing us from the inside out. He changes us from who we were to who He created us to be. Is this Christmas season the time to believe, to be born again, and let God change you from top to bottom and enable you to live a life that displays his Godly virtues throughout your entire life? You can’t do it on your own, but with God, all things are possible. With Thanksgiving behind us, it’s time to decorate the house for Christmas! Yes, it is a ton of work! And, yes, it’s usually a solitary job, but I love it! What I really enjoy is unpacking the ornaments! 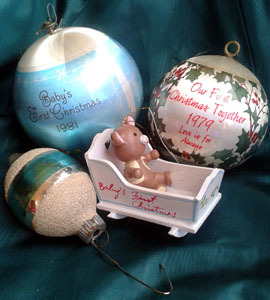 This is the ornament Brian and I got when we were first married in 1979, Danny’s first Christmas 1981, Bobby’s first Christmas 1984, and an ornament my mom gave me from her tree when I was a baby in 1956. Every ornament has a sweet memory: The excitement and pride on the boys’ faces as they presented their hand-made masterpieces, the memory of a friend I haven’t seen in years, the heartache of a family member who is gone, the joy of a baby’s birth, or the thankfulness for a new daughter-in-law! It’s not unusual, as each ornament is unwrapped and examined, to find some that didn’t survive their storage intact and need a bit of glue; while others seem prettier and shinier than when they were put away. 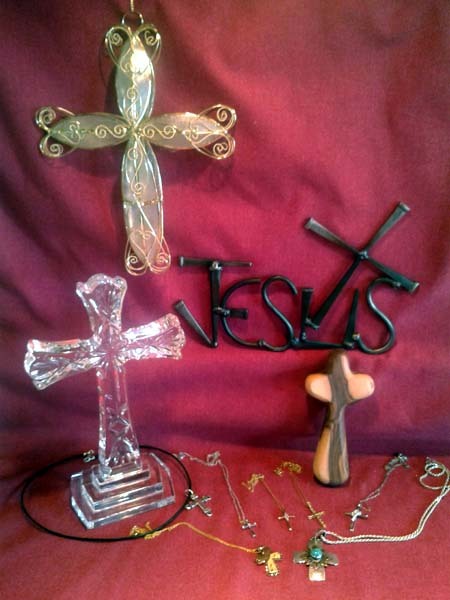 Just as we take the time to unpack the ornaments we use to decorate our homes, we should also set aside a time each year when we unpack and examine the ornaments God has given us to decorate our lives. Love – do you love unconditionally? Who needs to know that you love them? Joy – when did you last experience joy? Have you brought joy to others’ lives? Have you lived joyfully in the midst of sorrow because you know the Savior? Peace – are you living in peace? Peace with God and others? Forbearance – have you practiced tolerance and restraint when you’ve been provoked? Have you shown patience with others? Kindness – would others say you are kind to them? To yourself? Goodness – only God is good – are you growing more and more like him each day? Faithfulness – Would you say your faith in God is growing deeper? Stronger? Is it penetrating every part of your life? Gentleness – Have your words and your actions grown in gentleness? Self-control – where are you out of control? Where have you gained control? As you cooperate with God, he will strengthen and grow this fruit. This is a promise. We can’t produce this fruit on our own. It isn’t a matter of working to be good enough. These ornaments belong to God; they are the fruit of the Holy Spirit, the by-product of God working in our lives through the Holy Spirit. As we cooperate with God in the circumstances he allows in our lives, he continues the work of transforming us: “polishing our ornaments”. It’s time to decorate! May the light of the Lord shine brightly through you this Christmas season! While we laugh at this memory, I wonder what Jake was thinking. Did he know he was supposed to give Santa a list of things he wanted? Did he ask for anything? Was he too intimidated? Did he think Santa would already know what he wanted? Did he assume Santa would just give him whatever Santa wanted him to have? Did he expect anything? He seemed OK with the ornament. It’s interesting how many conversations I’ve had with people about prayer that sound really similar to this. We often wonder: if God knows everything, doesn’t he know what I need? Why should I ask? Shouldn’t I just be content with what he gives me? Prayer intimidates me. I don’t know what to ask for. We are to pray because God ordained prayer as one of the means to accomplish his ends. Jesus prayed. The disciples wanted to know how to pray. And the Bible tells us to pray for everything. Unfortunately, sometimes we pray such non-specific prayers, that we aren’t sure if, or when, God does answer. For example, do we even know what we’re asking for if our prayer is just that we want to be a better Christian? What would that look like for you? What one thing do you need from God, this week, which would make you a better Christian? Have you thought to ask for ‘that thing’ specifically? Would you ask for it today? God wants us to ask, so that when he gives, we see the wonderful gift he’s given. What are you specifically asking for today so that you can tell others exactly what God has given you!